MK started off - professionally at least - with a Fender Stratocaster, a nod in the direction of one of his heroes, Hank Marvin. ("... all I wanted was a red electric guitar..."). David K. also used a Strat & sometimes a Telecaster. I think Hal Lindes used both a Strat & a Gibson Les Paul. By the 'Brothers in Arms' tour, MK had moved on, using at least 3 Schecter Strat-style guitars, in red, white & sunburst finishes ; a red Schecter Tele style, a Les Paul (e.g.Money for nothing, BIA), the National steel, Steinberger GL-2, Erlewine automatic, and a Gibson Chat Atkins electro- acoustic. Jack Sonni played a couple of Strats - including a left-handed one, upside down. 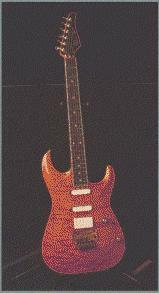 MK now favours Pensa-Suhr models, still Strat derivatives, but a fair way from his original Fenders. Phil Palmer used a Fender EC Signature Strat & a Godin Acousticaster on the last tour. John Illsley seems to stick to a Fender Jazz Bass, though he has used a Wal also. 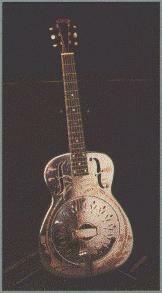 I have also read the MK uses Fernandez guitars, a Mexican clone of Strat. He supposedly had one of his favourite guitars stolen a while back, so he leaves most of his favourite guitars at home and does not take them on tour. Perhaps they are too valuable. Also, I read in the Guitar Player mag. interview that he used some borrowed guitars on the recording of Love Over Gold, to get the sound he wanted. He may have borrowed some guitars from Eric Clapton, but I can't remember the exact models. 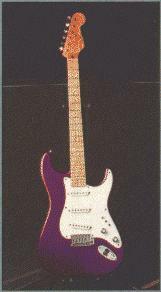 As for Knopfler's guitars, right now he favors a custom-made Pensa-Suhr Strat, serial # 001! For amps he generally uses Soldano heads into Fende cabs. 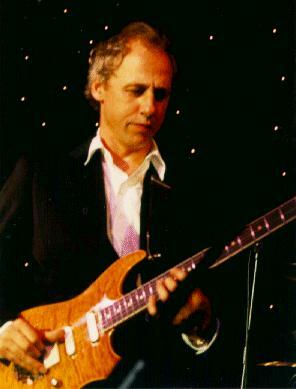 Hal Lindes uses a Tele and what looks like an Ibanez Gibson copy in Alchemy.